We have Created a niche market for Jacket Patches such as A Star League Patch, Andrews A Patch, Chenille Patch 2A, Cook Patch, 09 Class Of Insert Patch, Chest Patch C12 and many more items at its best, with utmost quality. These are offered at reasonable prices in variety of color combinations. Our customers can buy from us premium quality of Andrews A Jacket Patches, which are designed by expert professionals. These patches are exclusively designed in exclusive designs & patterns and are widely appreciated & demanded by our clients. Available in a variety of designs, patterns and colour combinations, these are offered by us at competitive prices. 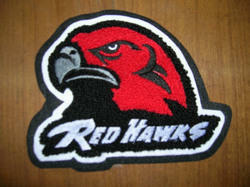 We are one of the prominent manufacturers and exporters of class of insert Jacket Patch. These are manufactured by our expert professionals, who make use of superior quality leather procured from the trusted vendors of the industry. To cater to the different requirements of our customers, we are are providing these patches in customized as well as standard options. 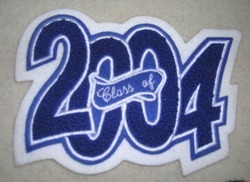 We offer the Jacket Patches which is an exciting patch in bright colors and in vogue design. This attractive patch is perfect to be used by youngsters for their clothing items to increase their beauty. The patch is designed in consideration to the latest market trends and has a high market demand. Apart from the style, the superior quality of the patches makes them highly durable. 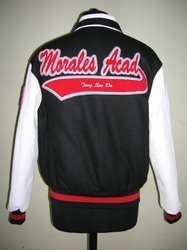 We Caliber India manufacturer, Supplier & Exporter of custom Embroider Patchesfor Varsity Jacketsfrom Indiaoffer an ample range of embroidered patches that help in accentuating the look of apparel. These patches are manufactured by our skilled craftsmen in a plethora of designs and patterns. Our range of patches is available in graphics as well as lettering and can be availed by our customers at industry leading prices. 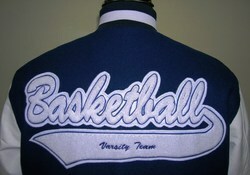 We hold expertise in offering a wide variety of Custom LetterVarsity Jacket Patches. Exclusively designed, these are also available for our esteemed clients in attractive designs, intricate patterns and eye-catchy colours. We are an eminent name, which is engaged in delivering chenille back patch at clients' premises. The offered range of letter patches is stitched utilizing high grade fabrics and innovative technology in complete adherence with the international quality norms. 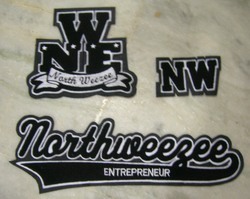 Along with this, the offered range of patches is available in different graphics as well as lettering. Interesting designs and fine finishing make our Patches quite captivating. The unusual combination of classic colour in background is perfectly suited for a trendy T-shirt. The designing is simple yet fascinating, and catches the attention of the onlooker. As for the colours, they will remain intact for years. 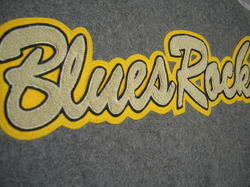 In our wide range of patches, we facilitate our customers with S Jacket Patches of premium quality. These patches are in sync with the latest trends of market and are appreciated for excellent finish. In order to meet different requirements and demands of our customers, these are available with us in variety of designs and patterns. We are an eminent name which is engaged in delivering chenille sleeve patch at clients' premises. The offered wide range of letter patches which can be stitched utilizing high grade fabrics and innovative technology in complete adherence with the international quality norms. iN USA: CALIFORNIA , FLORIDA , TEXAS, HAWAII, NEW YOK, NEW JERSEY, VIRGINIA, COLORADO, ARIZONA, OHIO, ILLI NOIS, OREGON, ALASKA, UTAH , DELAWARE, NEBRASKA & VERMOUNT. applicable on jackets, t shirts etc. 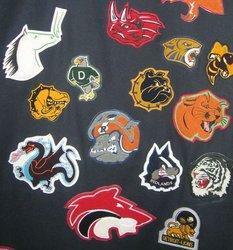 We hold expertise in offering a wide variety of Jacket Patches. Exclusively designed, these are also available for our esteemed clients in attractive designs, intricate patterns and eye-catchy colours. Our customers can buy these don-don patches from us at industry leading prices. applicable jackets, coat, t shirts etc. Zuinn patch, displaying simple and creatively designed logo can be used in a variety of apparel. With qualities like colour fastness and optimum finishing, the patch offers maximum endurance. It is highly demanded for its simple design that can complement a variety of clothing items perfectly well. The Chest Embroidered Patches, with a fashionable D design can be used for the front portion of the apparel. Back patches are usually simple and striking. In a bright orange colour, the patch makes the clothing more exciting. 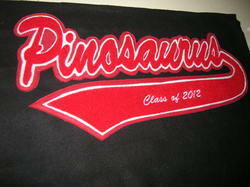 The high quality material used along with fine embroidery makes the back patch more enduring.